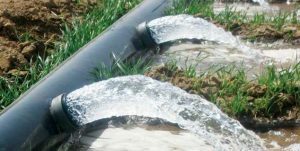 – Eliminates costly main ditch cutting and the need for dams on small grade changes. – Eliminates 24 hour vigils searching for breaks in water soaked banks. – Reduces water costs by ending loss through evaporation or percolation. – Increases productivity by allowing you to irrigate where you want, when you want. – Less friction allows water to travel farther without boost. – With careful installation, retrieval and storage, you can use HydroGate Pipe for several seasons. – Dry headlands permit easy access to all gates for precise adjustments and optimum control over water flow.